4. Add pertenent information into the drop down options and select the BLUE "Continue" button to complete. 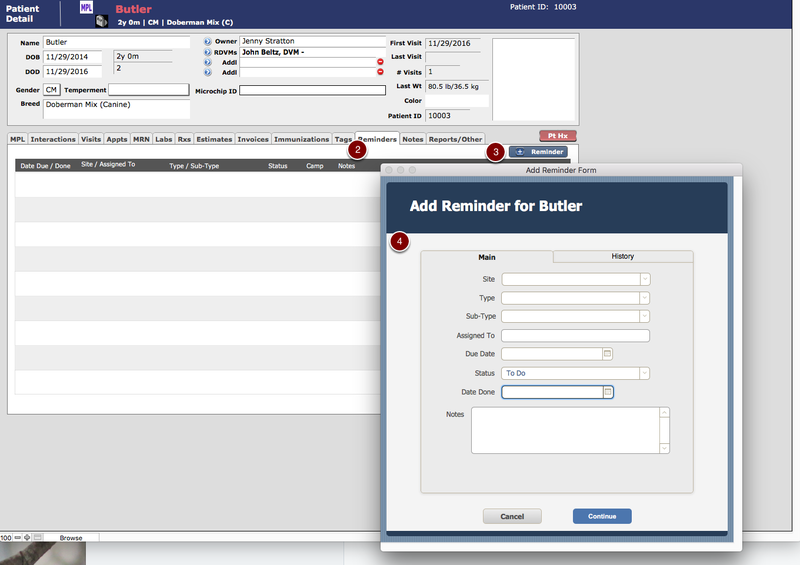 Once the reminder has been set a report can be run to show all reminders for a specific timeframe. 6. 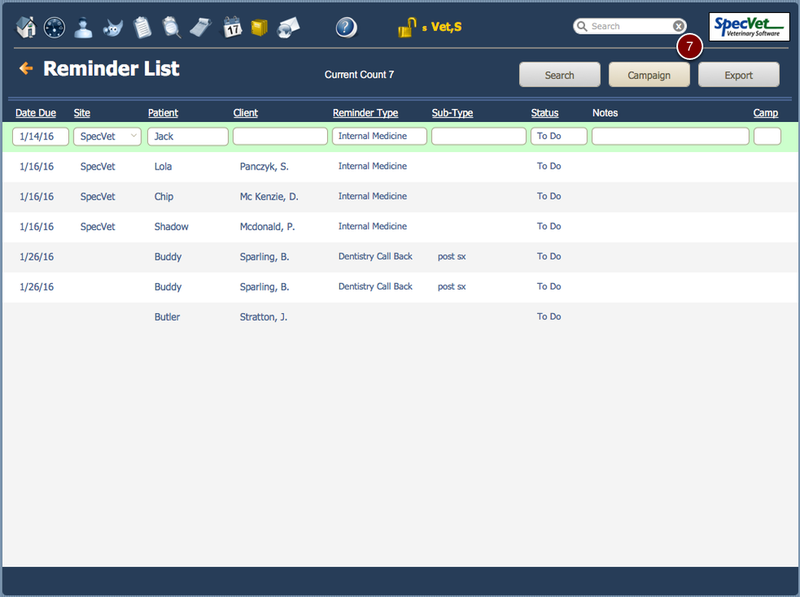 Select "Reminder" navigation button and you will be directed to the Reminder List. 7. Set you reminder preferences then export to a spreadsheet for your report.